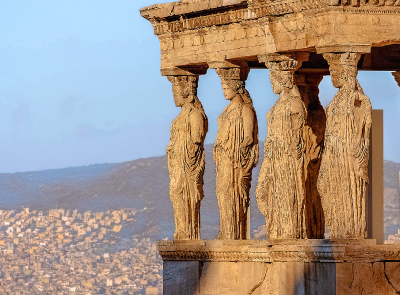 Known for its rich history, stunning beaches, delicious cuisine and world renowned hospitality, Greece is a destination to be experienced. 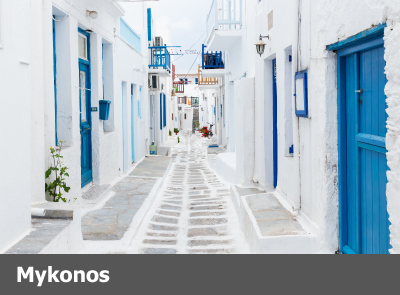 From the mainland’s lush countryside, traditional towns and the cultural gems in Athens to the iconic white washed architecture of Santorini, sandy beaches of Paros and the vibrant nightlife of Mykonos, Greece has a bit of everything, for everyone. Learn more here. Mykonos is considered one of the most popular of the Cyclades islands, known for its vibrant night life and award-winning restaurants. It also offers travellers an abundance of stunning beaches, picturesque villages and impressive shopping. 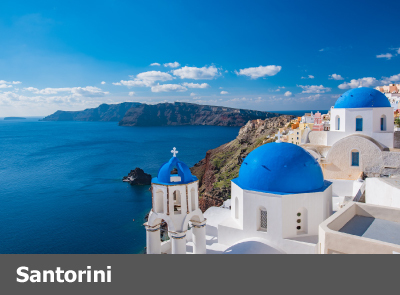 With its iconic whitewashed architecture, blue domed churches and selection of wineries, Santorini is a charming and romantic destination with an unforgettable rugged landscape, steep cliffs and dark pebbled beaches. 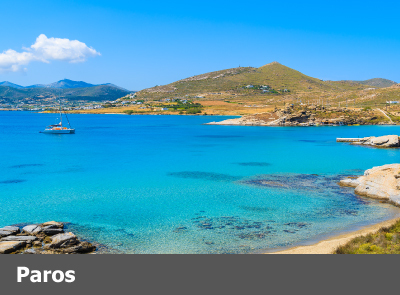 Best known for its traditional villages, golden beaches and perfect windsurfing conditions, Paros is a delightful destination. Visitors can take a 10-minute ferry ride from Paros to Antiparos to enjoy the smaller island’s relaxed atmosphere and stunning beaches. All content and imagery Copyright, all rights reserved Authentic Villa Holidays Ltd.